Select an option...FREE Delivery Monday – Friday Mainland UKMainland UK Saturday (£15.00)Please phone for any other option. Tatami CocoMats are light and easy to handle. 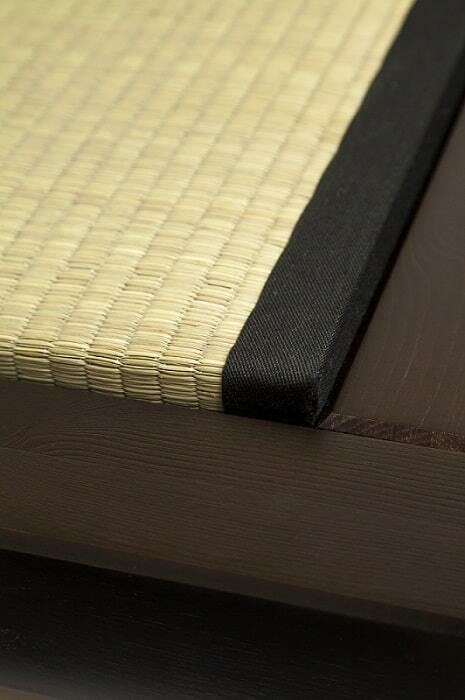 Tatami CocoMats are a new addition to our range of Tatami products. Since the Middle Ages Tatami Mats have been a part of Japanese culture. Samurai who as warriors had high status, we’re told enjoyed sleeping on these mats. Gradually these versatile mats became a mass-produced item and anyone who had the yen, could buy. There are still do’s and don’ts but that’s enough history for now. Tatami Mats are becoming a global phenomenon. Regions such as Asia and Europe are embracing Tatami. Manufacture is mostly in China but Taiwan and Korea also have factories and make under license. This is a critical point as it keeps standards on an even keel. A traditional Tatami Mat is made from compressed rice straw with Sea grass woven around the core and edged with a brocade. These materials were readily available in Japan, an island nation and that contributed to their growth. It’s fair to say they are heavy, about 25 kg and being a natural product it’s crucial they don’t get wet. As with all things that enjoy success there are those who want to improve and better what’s gone before. 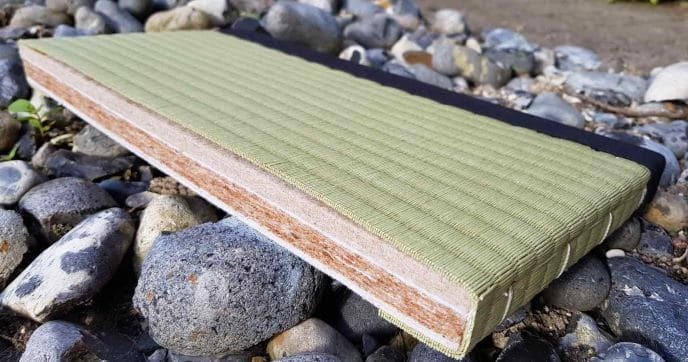 Tatami Cocomats have recently been introduced into Europe. These mats are quite different, they feel softer and are considerably lighter. The core is a combination of coconut hair and a cotton based natural filling. Coconut hair fibres are bonded by latex and 1.8 cm thick. A further 1 cm of mixed cotton and linen is laid on top. This combination establishes a pliable surface perfect for Yoga and soft exercise. The core is then covered with a soft rush called Igusa grass. 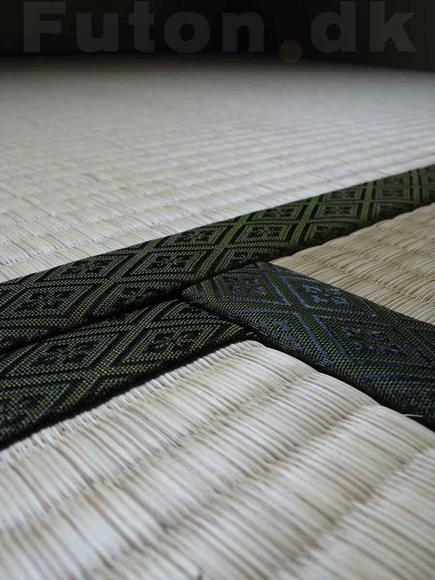 Like all “real” Tatami mats the long edge has a Black fabric of some kind. 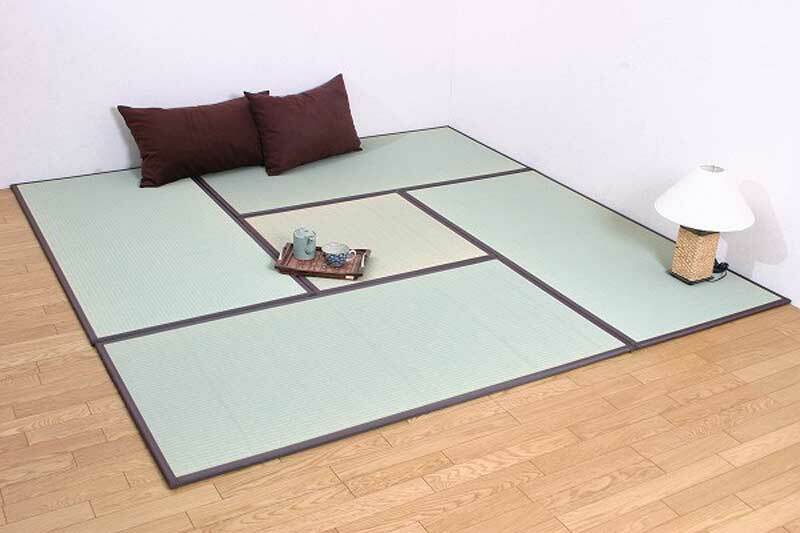 Perfect as an exercise or Yoga tatami they can also be used as a bed base or floor mat like the “Trad” version. All these improvements make CocoMat Tatami lighter (10 kg) and consequently easier to handle. Furthermore there is no aroma or smell when they come out of the packaging. As a result rice straw version sometimes but not always had a “whiff” like any straw. But it would disappear after some days. Very important in Japanese culture and in my home is for it to be a “shoes free” zone. It’s really nice to walk on Tatami mats especially the Tatami Cocomat. Most noteworthy is using these Tatami with our range of Low Level beds, pictured below. mat 80x200x3 cm. Mixed Cotton / Flax, and Coconut fiber. FREE delivery is the first point to emphasise. If your order can be sent from stock it takes about 2 or 3 working days, usually. BUT if we are out of stock temporarily it will be anywhere between 1 and 3 weeks. We always have stock coming from our suppliers in Denmark. The delivery date is guaranteed but it's possible to request an a.m. (08.30-13.00) or p.m. (13.00-18.30) slot, however the request is at the discretion of our couriers who do what they can to comply with your wishes.You can specify a date or I'll suggest a date in the order confirmation email and you can amend as necessary.It is also possible to leave deliveries in a garage, with a neighbour or even at the back of a house so long as the request has been made ahead of time and you feel it's safe to do so..
Tatami Mats are extremely versatile and can be stored easily without fear of degradation. 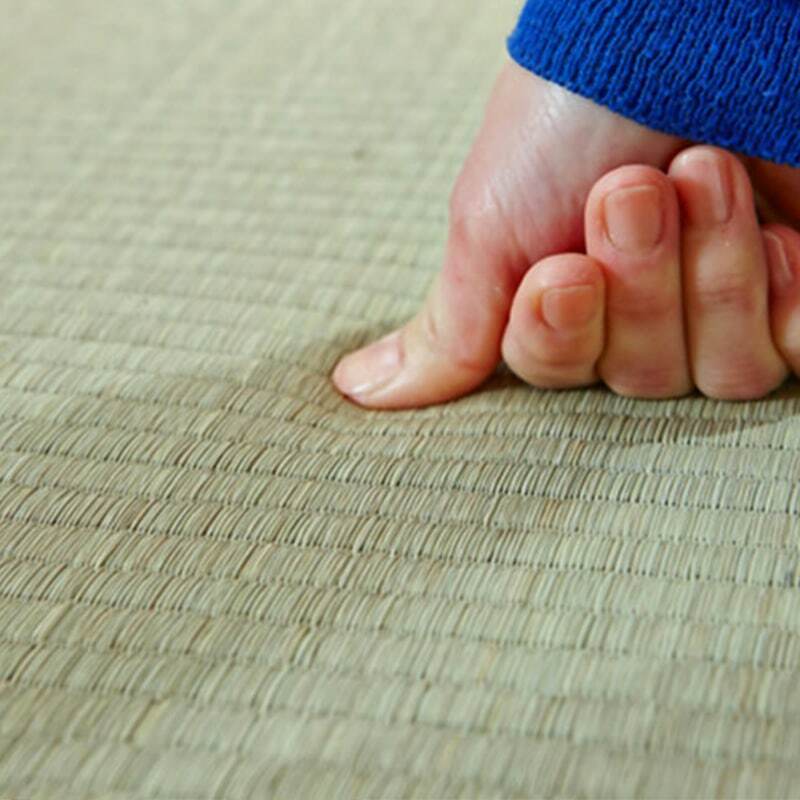 We offer a range of Low Level Beds specifically to use with Tatami Mats and we can offer some advice if you’d like to use your Tatami directly on the floor for Yoga, Meditation or an area for children’s recreation. Futon mattresses are an integral part of Japanese living and as such have a close relationship with Tatami mats which is what your futon mattress sits on. How firm you want your futon mattress to be is covered in the futon mattress category and any of our range would be suitable. To discuss further please email keith@futonsonline.co.uk or call 020 7223 7212.